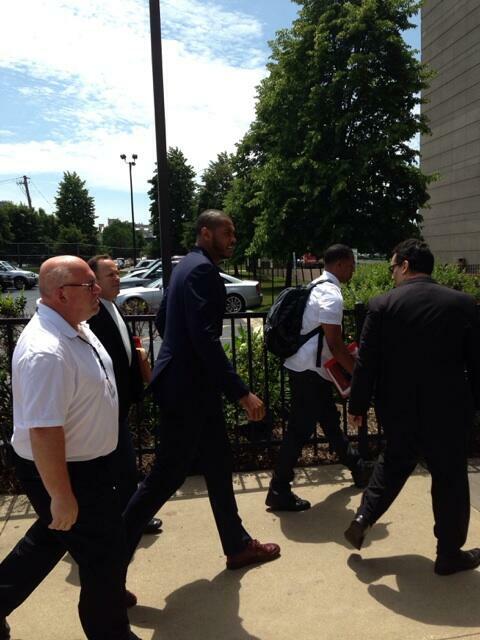 Carmelo Anthony is currently at the United Center in Chicago to meet with the Bulls. Chicago is considered the Knicks’ main competition for Anthony. Joakim Noah is expected to take part in the Bulls’ pitch to the former scoring champ. This thread will be updated with any news from the meeting. This entry was posted in Articles and tagged Carmelo Anthony, carmelo anthony bulls, carmelo anthony knicks, KNICKS, Knicks news on July 1, 2014 by Tommy Rothman.